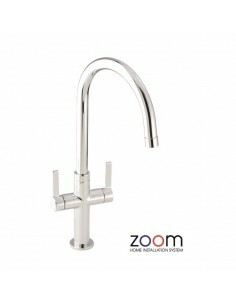 All of our Abode kitchen taps include the "Zoom Home Installation System" No need for expensive plumbers or a massive extensive tool kit, saving time & money, fit Abode taps yourself in minutes! 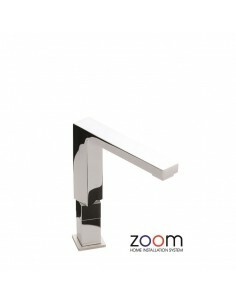 Now with FREE next working day delivery! 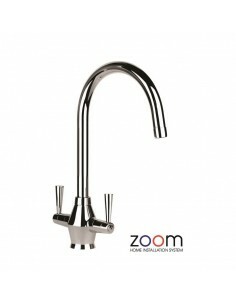 Call us Tel 01205 760462 The Zoom home installation system includes : * LLDPE Flexible tail pipes 600mm long, to simplify connection * Colour matched for ease of identification * Extra connection security with John Guest Speed fit fittings * Kit contains box spanner to ensure a sturdy fitting of your taps * Information booklet on how to changeover your kitchen tap * Non return valves included (where necessary) Zoom home installation system uses the world renowned Speedfit connections bu John Guest. 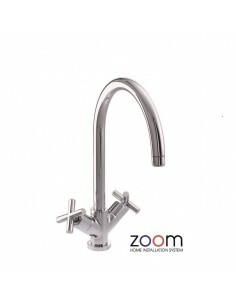 Connect it yourself - it's as easy as one, two, three.. 1) Unscrew the anti tamper locks on both ends of the Speedfit fitting 2) Attach the 15mm end of the fitting to the water supply pipe securely, and then re-tighten up the anti tamper lock and ensure a good strong lock is made 3) Repeat the same process for the push fit. 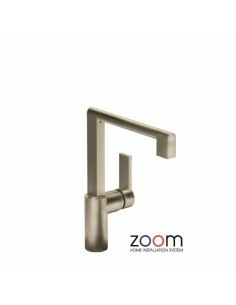 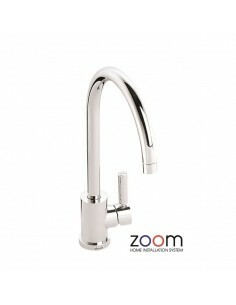 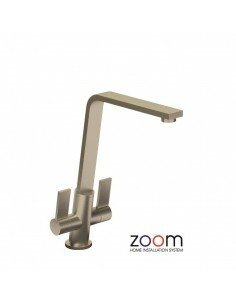 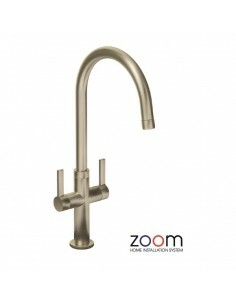 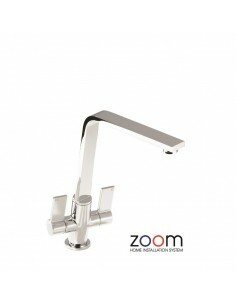 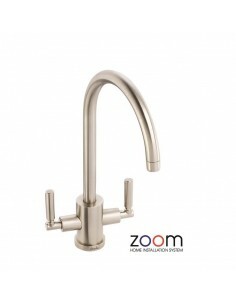 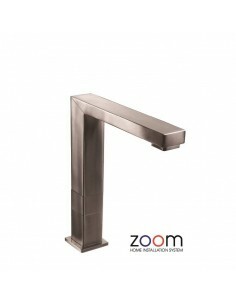 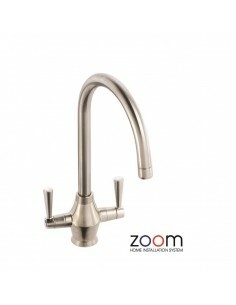 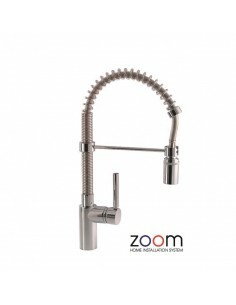 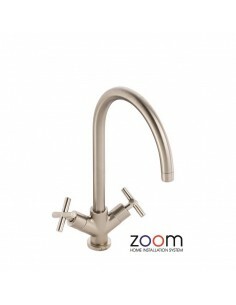 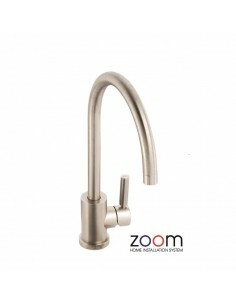 Secure the tap tail pipes in position, re-tighten the lock and test your connection Zoom offers Italian quality production and a range of designs by award winning British designers, offering some of the best selling designs in the UK tap market. 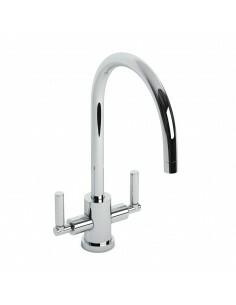 Stunning taps to include contemporary, classic, stainless steel taps & aquifier water filter taps too. 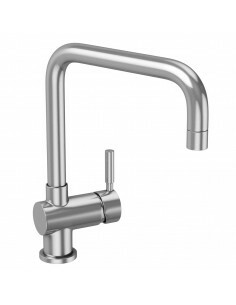 55% of the kitchen taps are below 0.3 bar pressure, so can be installed in any home or location and are for use with gravity water systems. 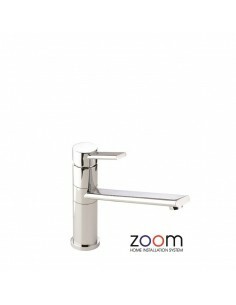 * British award winning designers * Perfect blemish free surfaces with deep lustre finishes * All taps use aerators or flow straighteners to control the water flow * All valves cartridge designs tested for over 200000 cycles * Comprehensive 5 year warranty on all ZOOM Products, including valves (1 year on "O" rings & decorative finishes) * Stunning designs * Quick delivery - Excellent customer services & after sales www.eastcoastkitchens.co.uk are proud to be "Abode Zoom Kitchen Tap Authorised Online Retailer 2014" As an authorised retailer for the Abode Zoom kitchen tap range, we are pleased we can offer not only the best quality of kitchen taps, but also the confidence our friendly staff are trained to the highest level. 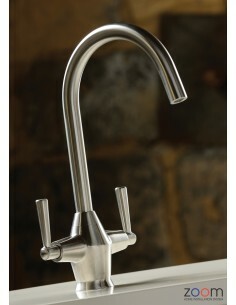 This enabling the best advise for our customers. 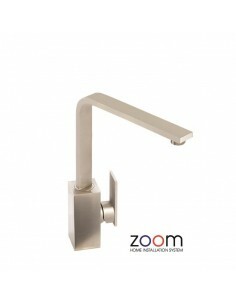 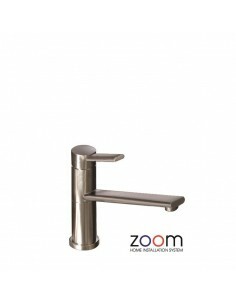 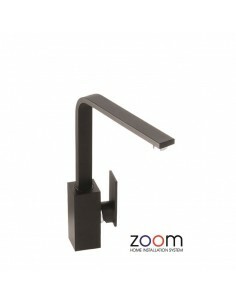 Take a look at the Abode Zoom range!